Ria Loves Pawlish: Thursday Haulageday! had my first full hour long facial today, i have to say it's very relaxing! we'll have to see how my skin does over the next few weeks to see if it's worth another $65 to start getting them on a regular basis. right now i'm leaning towards no... but i was a bit disappointed that the girl who did mine didn't do enough pore extraction. it wasn't the girl who did my last one and who i had thought would be doing this one... but i'm going to give it some time. i have noticed that my face has been less oily today than it usually is! 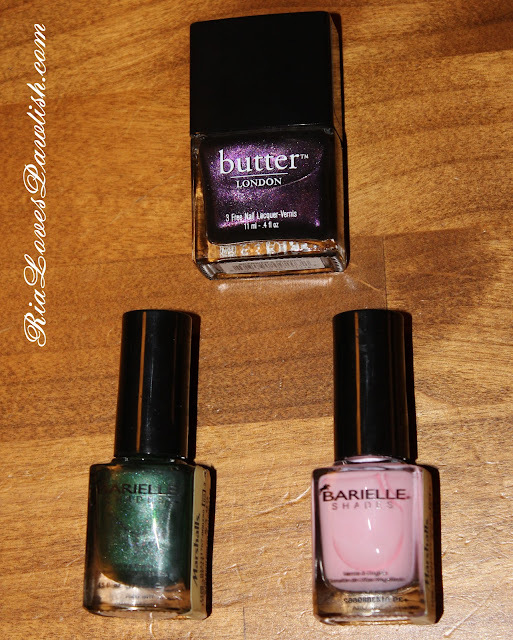 since i was over at Ulta, of course i had to hit all the shops over there for polish! 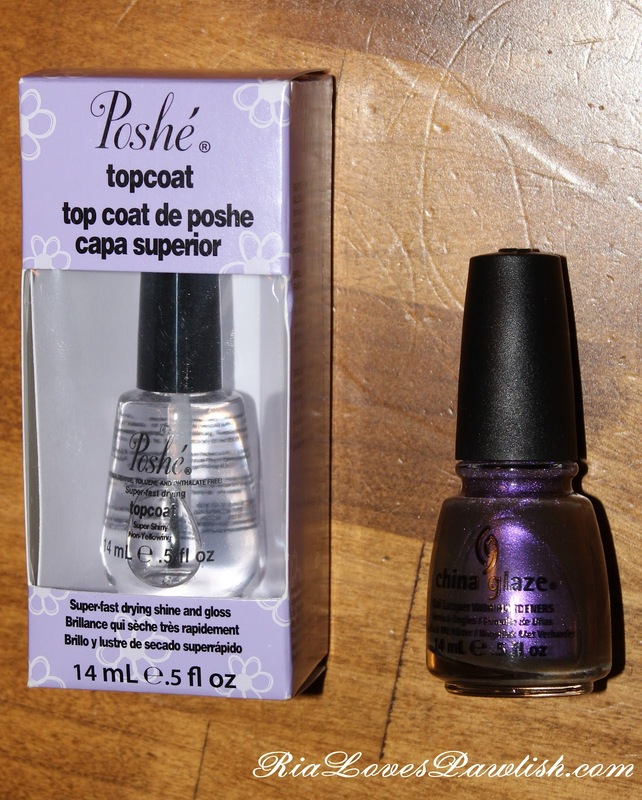 i'll just show you the polishes i got, but i also picked up one of the pump liquid bottles to use with my acetone... it will make stamping so much easier :) let's get to it! from Sally's i picked up another one from China Glaze's Bohemian line, i think i now have them all except for the Chanel Peridot dupe... i resisted as long as i could, but i saw some swatchies and i just had to have it after all :D i also picked up a Poshe Topcoat (i've never tried it before!) so i can compare it to Seche Vite! You'll love the Poshe. no shrinky-dinky with it.